Ikura eggs, or as known as Salmon roe, those who loves Japanese food loves it, but who have thought that more than 100 years ago during the Meiji Era, Fishermen of Ryoshi are unknowingly using the precious drops inside the eggs to heal wounds and ease the pain of burn. Skin injuries healed miraculously without any inflammation or scarring, and this eventually led Japanese Scientist to develop soothing serums for the past 6 years and it form the basis for LUMINE Japan's breakthrough formula skincare products. 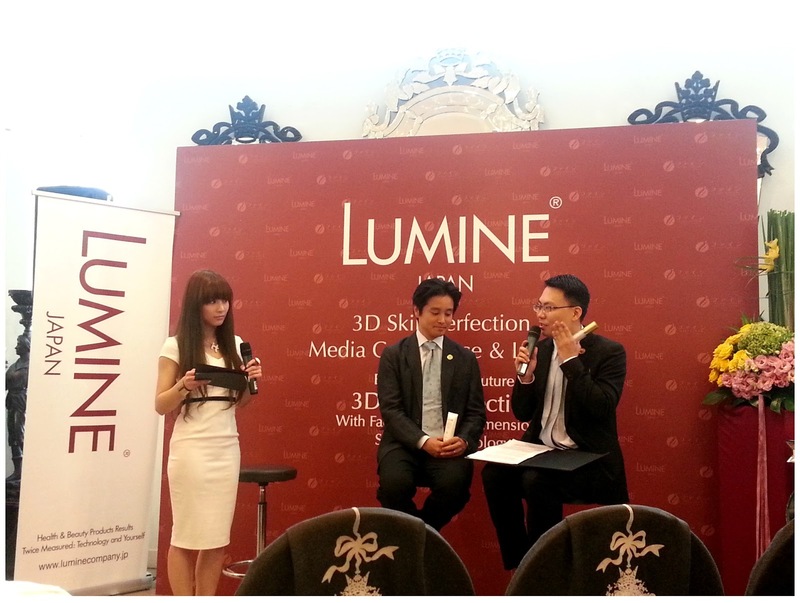 Last week, media conference & launch for LUMINE Japan took place at Pavilion's Zang Toi cafe and Malaysia is the first stop for the company to set foot at and organized an event such as this around Asia, outside Japan. I feel honored to be one among the 60 guests who were invited to witness this revolutionary 3D Skin Perfection Facial Dimensional Sculpting Technology of LUMINE to be reveal in Malaysia. Packaged in just white and gold colour, LUMINE Japan believes that these 6 items is what we need in our skincare regime, day and night. Knowing that modern women are getting busier and busier, we do not seek only for skin care aspect but also for recovering skin health as well due to our ignorance in our youth that has made permanent damage to our skin such as enlarged pores, acne scars etc, LUMINE Japan believes that these products of theirs will recover, tighten your skin as well as release the optimal beauty that lies within every woman. 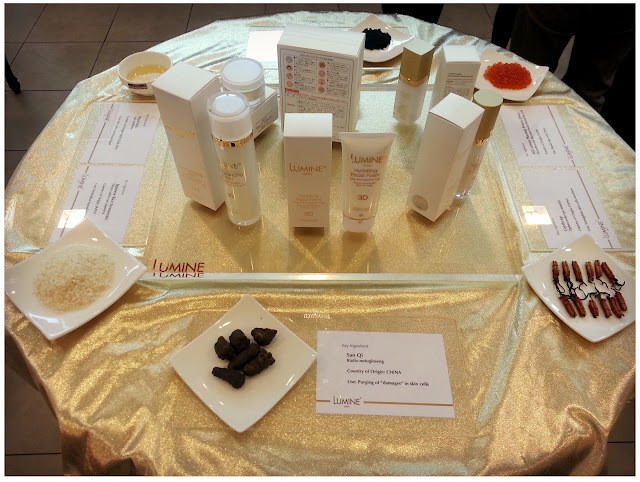 Ingredients that made wonders inside the products of LUMINE Japan. 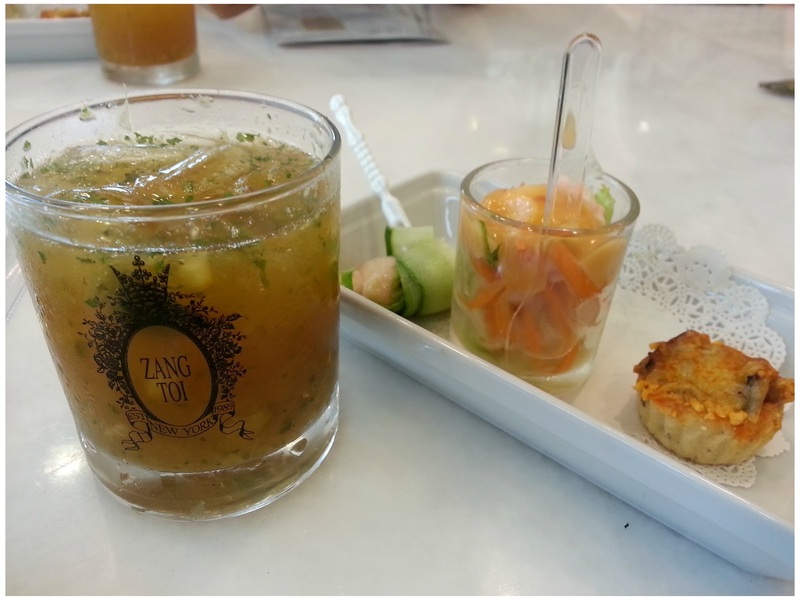 Black Caviar and Ikura Eggs that bring wonders in healing the skin and improving skin to perfection. Started as a small genome research lab back in the 1980s, FINE Japan had discovered the wonders of Caviar and Ikura in healing the skin miraculously and improving skin to perfection, both in health and beauty. After being successful in understanding the applicatory properties, extracting and activating the super healing properties of the Caviar, Osaka-based FINE Japan laboratory went global after a successful joint venture with Singapore in 2006. 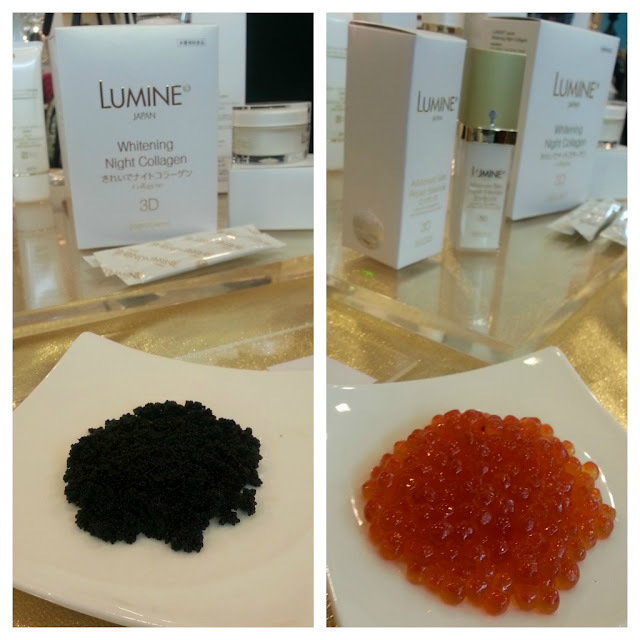 Using only fine and rare ingredients in their core products such as royal jelly, cordyceps sinesis, squalane, arbutin, hyaluronic acid, organic pearl coix, coenzyme Q10 and of course, Black Caviar and Ikura eggs, LUMINE Japan's products has been proven to be effective on a long-term basis without risks of allergies or dependancy. 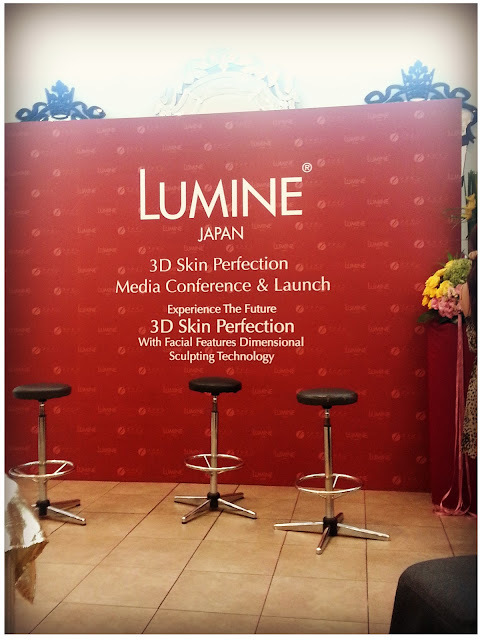 They don't jump into the bandwagon of miracle treatments and potions like other skincare brands as LUMINE Japan understand how our skin works in absorbing the goodness from products and it requires time and efforts from the users as well. 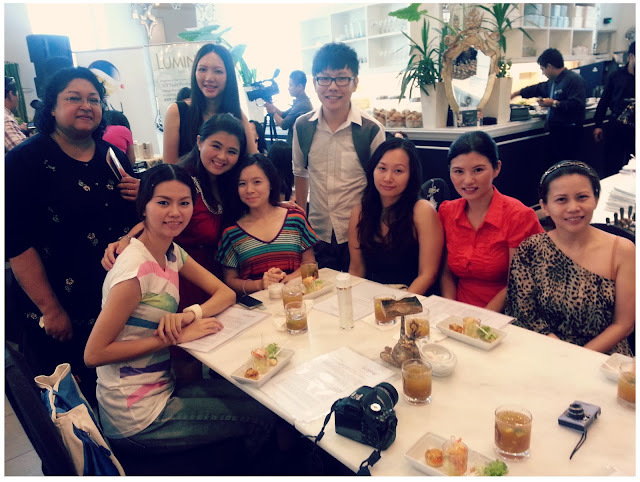 "Our products are simple; we do not gloss our basic facial regime of cleansing and moisturizing. What we do provide is scientifically-proven value-added original Japanese formulation that are there to enrich and stimulate the potential of Asian women skins to replenish itself and experience true beauty all over again." said Dr. Tommy. Guests are allowed to use their testers and ask questions about the products on the spot as there are plenty of skilled beauticians around. All the products from LUMINE Japan are non-scented and do not contain any artificial preservatives, colorings or hormonal stimulants. Group photo with the models and products. The event ended with the most exciting session of the day - Lucky draw. 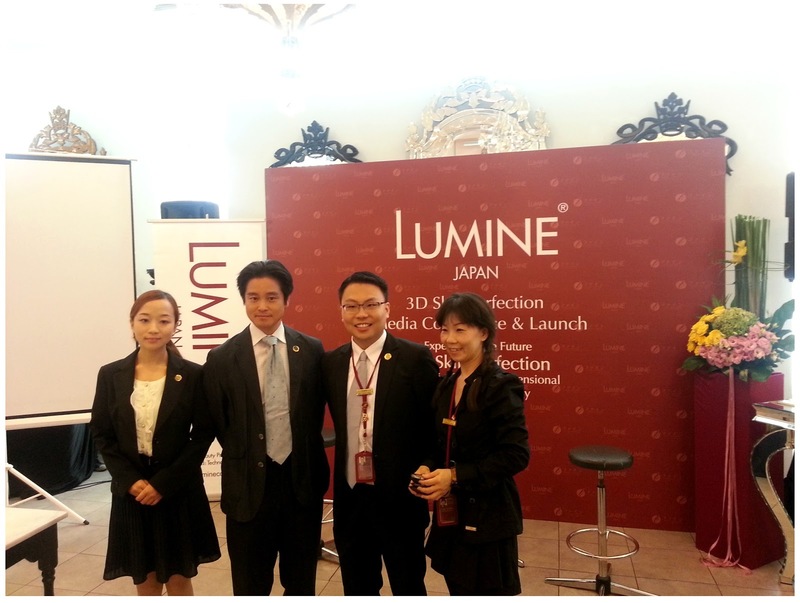 3 lucky attendees walked away with a complete set of LUMINE Japan products which costs RM1.4k!!! Too bad I'm not one of them lol. I really like the concept of LUMINE Japan and I think this set of products are made for women who likes to keep their skincare regime simple, sounds like something that my mum will love. Thank you Xavier for your invitation and it's a pleasure meeting all the ladies at the event that day. 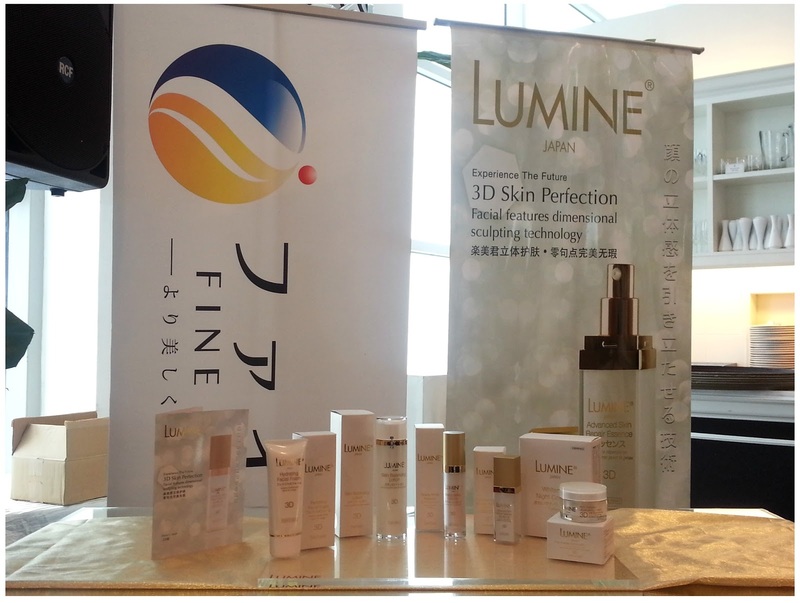 LUMINE Japan products are currently available in their office located at The Curve and selected aesthetic beauty salons. Price of the products are ranged from RM150 - RM340. 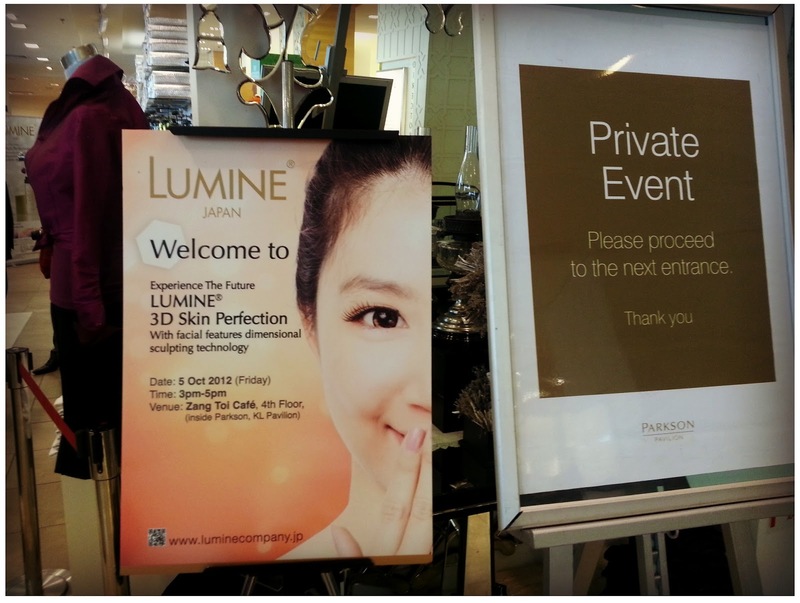 There's this skin analyzing machine at the LUMINE Japan office which helps you analyze and tells you the condition of each and every part of your skin. Do check out the current condition of your skin so you can use the right product to target the right place and get the result that you want.